Indeed. WHERE is love? Charles Dickens explored the impoverished lives of London’s lower class in the mid 1800s. The result was his classic “Oliver Twist.” The tale has received worldwide fame as dramas, movies, and musicals. It is now in a triumphant musical production on the Johnstown stage of Candlelight Dinner Playhouse. The orphaned Oliver is in an incredibly sad situation. 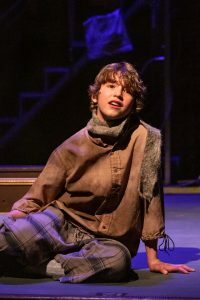 Eli Emming is convincing as Oliver, plaintively singing “Where Is Love?” early in the show. He is fated to go from one bad situation to the next, as evil and greed reign among the lower caste system of London. 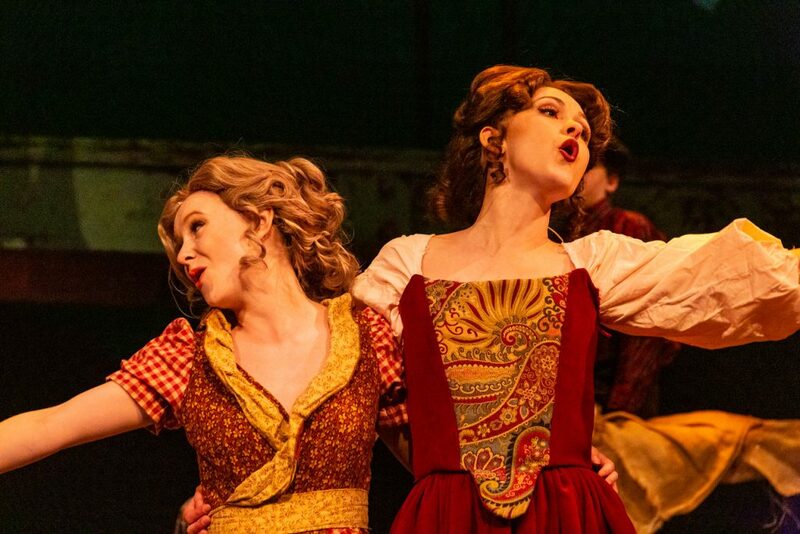 Joining Emming’s Oliver, are impressive performances by some newcomers to Candlelight audiences, including Charlotte Campbell and Axel Manica. Campbell is excellent as the downtrodden Nancy, trying to help Oliver when her own situation is increasingly dreadful. 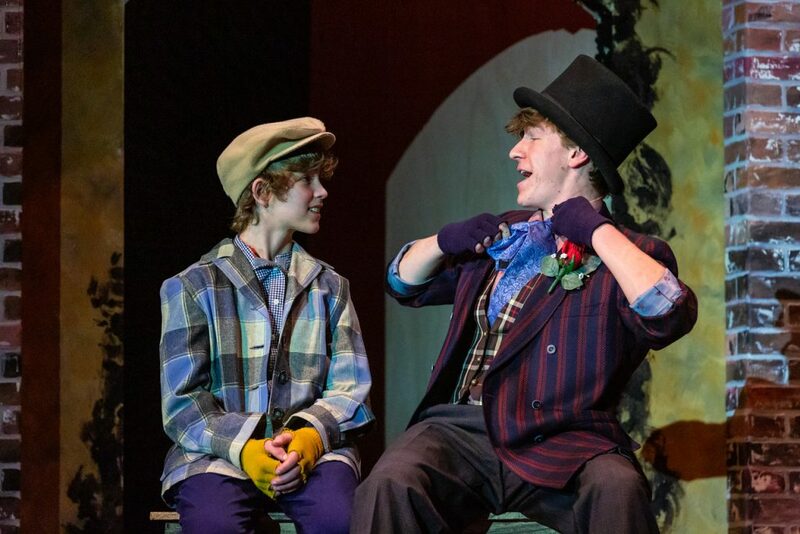 Manica is a star in his own right as the Artful Dodger, a pick-pocket who takes Oliver under his wing. Manica’s performance skills are spot-on. Some might say he even “steals” the show. 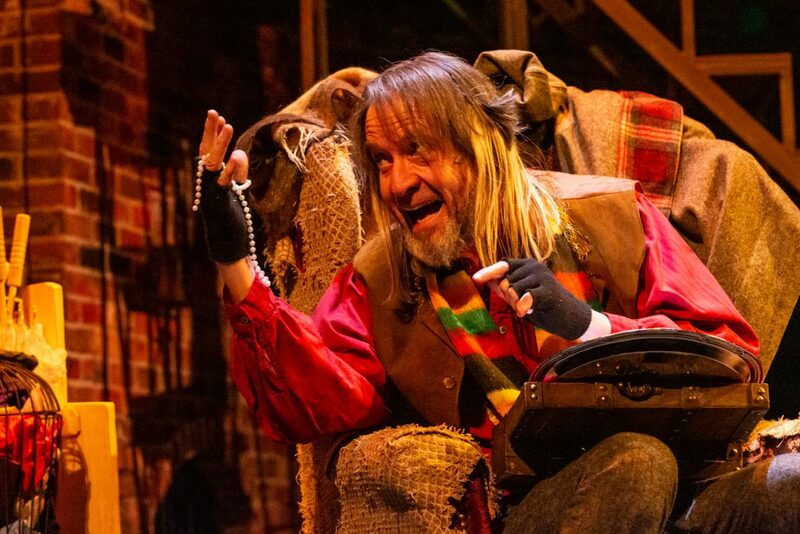 Well-respected by Candlelight audiences is Kent Sugg, returning to the stage as the fiendishly evil Fagan, who rules his youthful gang of pickpocket thieves with unbridled lunacy. Many young persons are seen in various roles, portraying everyday London citizens and members of Fagan’s gang. 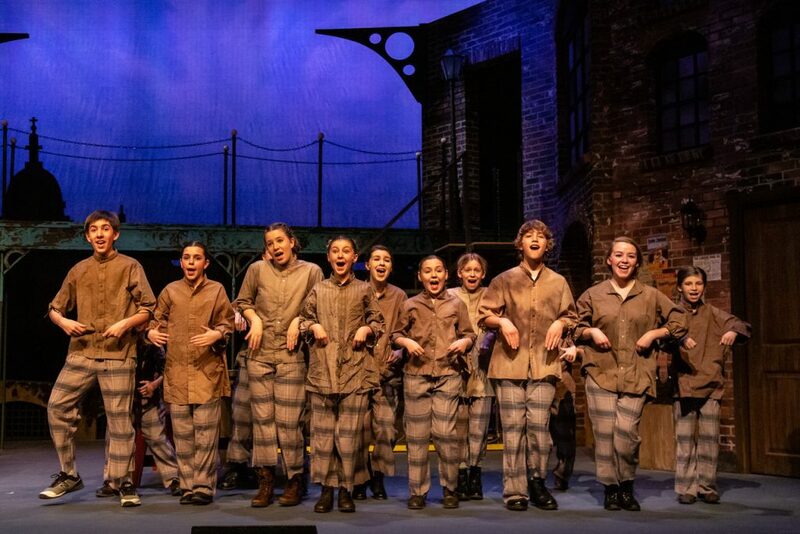 Perhaps the youngest is Kieran O’Brien who is in his second Candlelight production, and stands out as not only the smallest of the performers, but as a young performer with enormous enthusiasm. Much of the music is familiar, as Oliver’s life takes several turns for the better and back to the worse, and maybe back again to the better. An exuberant “Consider Yourself at Home” livens up the show tremendously Other musical highlights include “Food, “Glorious Food,” “You’ve Got to Pick a Pocket or Two,” “I’d Do Anything,” “It’s a Fine Life,” “Oom-Pah-Pah, “Reviewing the Situation” and Charlotte Campbell (as Nancy) singing a gut-wrenching rendition of “Whenever He Needs Me.” The choreography is particularly terrific. Playwright and composer, Lionel Bart, wrote lyrics and music for his version of the tale, opening in London in 1960. It was highly honored there, and made its way to Broadway in 1963. When filmed as a movie musical in 1968, it received the Academy Award for Best Picture. The tale continues its heartfelt desire for good to triumph over evil. There is sadness. There is some violence. Despite the darker aspects of the story, the result is a heartwarming, but not sugar-coated, production.